The project will be carried out by World Academy of Art & Science (WAAS), World University Consortium (WUC) and a network of partnering organizations. WAAS is an international think tank founded by eminent intellectuals in 1960 and registered in California-as a 501(c3) corporation. WUC is also a California-based 501(c3) non-profit corporation founded by WAAS and nine other international NGOs in 2013 to promote 21st century solutions in higher education. Centre for Complex Systems in Transition, Stellenbosch University, South Africa is an interdisciplinary research and training centre of Stellenbosch University that studies complex phenomena and draws together researchers and practitioners interested in complexity. Dag Hammarskjold University College of International Relations and Diplomacy, Croatia's mission is to train students by developing their competencies for research, creation, implementation and active management of international relations, which should ensure a better quality of life for people in the Republic of Croatia, in the region and in the world. Environment Europe Limited, UK offers consultancy services for national and regional governments, international organizations and corporations in the areas of Sustainability Assessment, Ecosystems and Biodiversity, Cities, Waste and Renewables and climate change. Ethical Markets Media, Florida, USA is an independent media company promoting the emergence of a sustainable, green, more ethical and just economy worldwide. 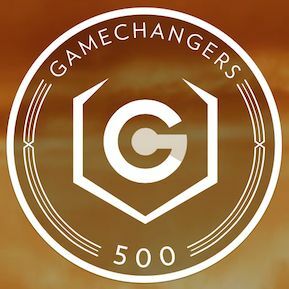 GameChangers 500, California, USA profiles the world’s top For-Benefit businesses that are focused on maximizing benefit to people and the planet, rather than just maximizing profit-at-all-cost. Global Action Plan International is an international network at the forefront of Education for Sustainable Development and related programs for sustainable behaviour change. GAP is a network of organizations working for a common goal: Empowering people to live and work increasingly sustainably. Each member organization is an independent entity with full responsibility in designing and delivering appropriate programs, and for its own financing and financial management. Global Footprint Network, California, USA is a 501c (3) nonprofit organization that was established to enable a sustainable future where all people have the opportunity to live satisfying lives within the means of one planet. Green Cross International, Switzerland is an international NGO founded in 1993 by former Soviet President Mikhail Gorbachev with headquarters in Geneva and offices in about 30 countries. The mission of GCI is to respond to the combined challenges of security, poverty and environmental degradation to ensure a sustainable and secure future. GCI has Special Consultative Status with the ECOSOC. Inter-University Centre, Croatia is an independent international institution for advanced studies structured as a consortium of universities with a mission to organise and promote contact and exchange through projects, study programmes, courses and conferences across a wide range of scientific concerns. Programme directors and resource persons coming from about 170 member universities worldwide cooperate in organising the activities. IUC is open to new member institutions as well as to new programmes. New Economics Foundation, UK is the UK's leading think tank promoting social, economic and environmental justice with the aim to transform the economy so that it works for people and the planet. Person-Centered Approach Institute, Italy is the largest psychological counselling and post graduate psychological education and training institution in Italy founded by the world-renowned psychologist Carl Rogers in 1979. Headquartered in Rome, IACP conducts research, training and consultancy to promote change in individuals and groups (public institutions, private organizations, society in general). Praneo Foundation, Switzerland is a participatory business serving people and society. It aims to promote a sustainable society on the economic, human and environmental, which promotes awareness of individuals, business and organizations. 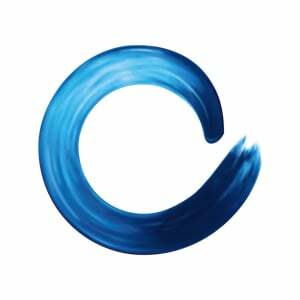 The Blue Economy, Germany is ZERI’s philosophy in action. Blue Economy is where the best for health and the environment is cheapest and the necessities for life are free thanks to a local system of production and consumption that works with what you have. The Mother’s Service Society, India is a social science research and educational institution founded in 1970 in Pondicherry, India. MSS conducts original research on the process of individual, organizational, national and international development and serves as the administrative office and publishing center for the World Academy of Art & Science. University of Florida, Institute for Human Rights, Peace and Development, USA works to develop and deepen the interdisciplinary understanding and policy foundations of human rights, peace and development. University of Lisbon, Department of Economics, Portugal's mission is the creation, transmission and social and economic value of knowledge and culture in the fields of economics, finance and business, a plurality of frame and intellectual and scientific freedom assurance, respect for ethics and social responsibility . 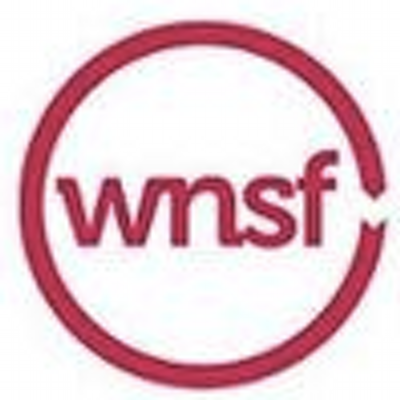 World Resources Forum, Switzerland is an independent non-profit international organization that serves as a platform connecting and fostering knowledge exchange on resources management amongst business leaders, policy-makers, NGOs, scientists and the public. Y. K. Center, Israel is a platform for any system that needs to Re: View, Learn, Think, Create, Invent, Design, Ignite, Start, and ReBoot.